There comes a point in the aging process where you start to wonder what’s going on with your undereye area…as time goes by, we tend to have more fine lines around that area due to facial expressions. Since is it is a very delicate area of skin, we have to make sure we take good care of it, especially after our 30’s. I have used many undereye treatments, but in this last year I have been using these four products which I would like to tell you more about. 1) Liz Earle Daily Eye Repair: This is probably one of my favorite undereye daily eye repair. If you follow my blog you should know by now what Liz Earle is and also that I am a true Liz Earle believer. I like that it is made with natural products, which makes it suitable for all skin types. Among its ingredients are echinacea, borage, vitamin C, and SPF10, which stand out in doing a marvelous job. This product soothes, calms, hydrates, protects and illuminates the eye area. If you have puffy eyes, it will depuff them. I apply it morning and evening and I just love the results. Purchase it on Liz Earle’s web page for $26. 2) Anew Clinical Eye Lift: This was a very pleasant surprise. I had heard good things about it but I was not expecting much. I have used it for some months and I like the results. It comes with two different applications: the creamy texture has to be applied on the undereye area and the gel is to be used on the eye lids. 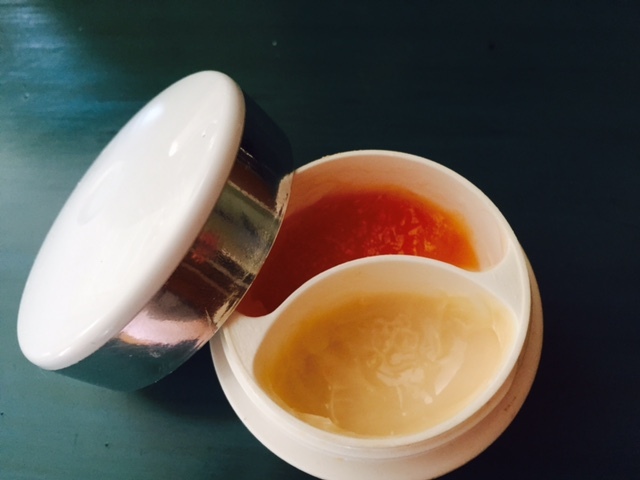 I liked its texture and how it made my skin feel tighter and younger. However, I do have to say that it is a strong product, so if you have sensitive eye skin, I am not sure this is going to be the right product for you. I would suggest you stick with the first producet in this post. If you want to purchase this Anew product you will have to contact an Avon representative. The good thing about it is its price. It costs $28 but you most probably will find a good deal. Avon always has good deals for costumers. 3) It’s Potent Benefit Cream: I remember once I was in New York and I went into one of the many Benefits boutique’s there. They sat me down and tried this product on me and I loved how it worked the skin around my eye area so I bought it. It is not necessarily an indispensable product in my beauty regime but I do use it every now and then. It is supposed to brighten and fade away dark circles…but unfortunately I have seen no significant results on any of these things. Overall, I find it pricey for what its worth – $34, and I will probably not purchase it again. If, nevertheless, you want a give it a try, purchase it on Benefit’s web page. 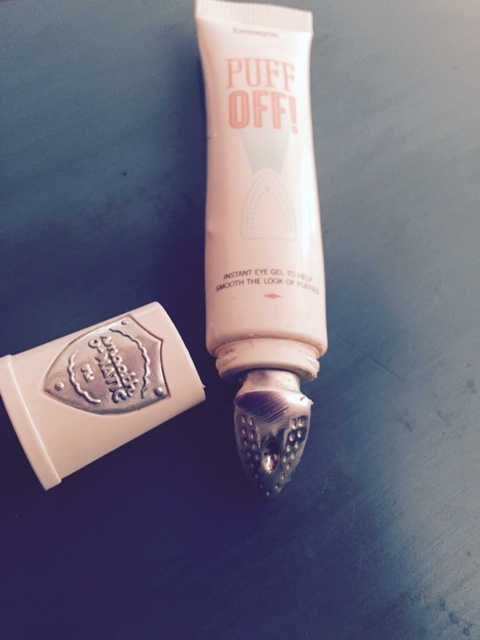 4) Puff Off Benefit: They have done an impressive job with this tube. The packaging is gorgeous and the smell and texture of the product are wonderful. Its”ironing” tip helps smooth the look of puffies & fine lines. I apply it every day for my puffy morning eyes and I can instantly see results. It unpuffs my eyes within minutes giving my eye skin a tingling/refreshing sensation that feels really good. Sometimes, when I wake up to horrible, puffy eyes, I even apply it twice. I purchased mine at Sephora for $29. I recently bought a new Elizabeth Arden under eye cream and I will let you know how it works out. A friend of mine wants me to try Perricone’s eye serum, which I will definitely have to purchase. Judging by her eye skin, it is totally worth it. See you soon and thanks for following! Tags: Anew, Benefit, Eye care, Liz Earle, Sephora. Bookmark the permalink.